Update: I forgot to encourage people to vote. Please exercise your rights -- especially if you live in Boston! Movie Night: "Tales of Travel, an evening of 5 short films"
Movie Night happens most months at the Schlesinger Library. It's often an esoteric selection, but this program includes really cool stuff that you won't see anywhere else. 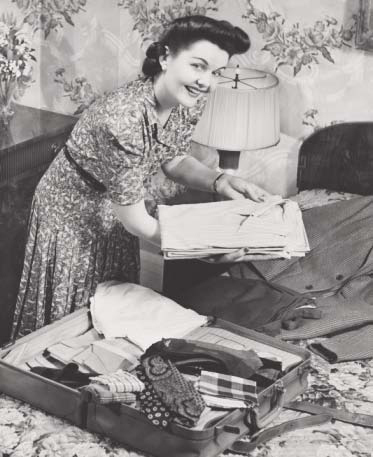 "Packing a Suitcase" is supposed to be a funny Shell Oil promo film from the '50s where a women's travel consultant giving tips on fitting a week's worth of clothes into an overnight bag. "Beautiful Japan" is a travelogue from 1918 that had a curious production, which they should talk about. You'll also see home movies from the Schlesinger collection, including '30s footage from China & Maine and Morocco in the '70s. Discussion will be led by Schlesinger Library audiovisual cataloger Melissa Dollman and PhD candidate Jeremy Blatter. They say, "open to the public," so go if you like. At some point in his teens, Ethan Gilsdorf probably fantasized being related to the wizard Gandalf. In his new book, the local author comes clean about his Dungeons & Dragons adolescence and travels around to explore other facets of gaming culture and what drives their passion. Ben Ratliff is a jazz critic for the NY Times who would often interview musicians for a regular article where they would listen to music together. The book is the long version of that idea as a collection of jazz greats talking about what they're hearing. Ratliff will speak about it then will be joined by local jazz saxophonist George Garzone for a "jazz ear" discussion, Garzone should give the crowd some live music. Tuesday Acoustic Showcase at Tommy Doyle's usually hosts decent performers. I'm fond of both Mr. Sister and St. Claire, who are two variations of clever, shadowy, folky, atypical songistry. Caught in Motion have traveled from Portland, Oregon to share their acoustic pop.